Is the final agreement on climate change? 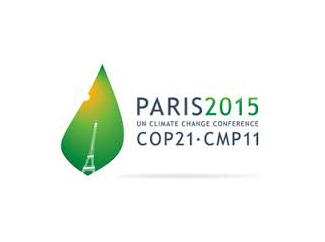 Humana Fundación Pueblo para Pueblo applauds the agreement reached on the Framework Convention on Climate Change during the Conference of the Parties held in Paris. However, we must be very aware that the agreement will materialize in facts, specific measures and funds, with immediate horizon. The agreement of the 196 signatory countries, among which are the United States and China, two of the main responsible for the emissions that cause climate change, set the goal of achieving that higher temperatures are quite keep below degrees centigrade and commits the signatories to "make efforts" to limit the increase in temperatures to 1.5 degrees compared to pre-industrial era. The text commits to conduct reviews every five years to monitor progress in emission reductions. However, these reviews are not legally binding so there will be consequences for those who do not perform. Moreover, these commitments could still cause a global warming of as little 2,7ºC. The success of the agreement will be judged on the basis of actions taken civil society, the private sector, governments and other important actors in the months and years ahead. This includes some very complex steps such as cutting subsidies for fossil fuels and promote the independence of coal to cleaner investment and greener economies. But it must be done because the cost of inaction is paid by the poorest and most vulnerable communities. The problem is that in a 40-page agreement even once the word oil, coal or fossil fuels do not appear. James Hansen, one of the first scientists to put on the table the issue of climate change, believes the agreement is a 'fraud', since while consuming fossil fuels is cheaper and easier to promote renewable energy, will continue burning for part of some economic powers. While it is true that the agreement recognizes "the need to promote universal access to sustainable energy in developing countries, particularly in Africa, through increased deployment of renewable energy." Moreover, analysts note that actual changes in national policies probably will not begin until later this year, possibly beyond 2020. Humana is committed to playing its role in this transition. This is reflected in our Cooperation Programs: first, in relation to the mitigation of greenhouse gas emissions and environmental degradation, especially in projects of agriculture and rural development; and secondly, ensuring that vulnerable communities can adapt to changing conditions. Agriculture is a mainstay of many communities in developing countries: it is the basis of food security, nutrition and income for many people; it is a sector that can and should be improved to avoid the depletion of natural resources and minimize gas emissions. Communities should have access to information, skills and resources necessary to adapt to changing conditions effectively and culturally appropriate. Do not forget to reach this agreement has brought more than two decades of negotiations, disagreements, conferences and treaties semi failed. More than 20 years in which the effects of climate change have accelerated, with very serious consequences for the planet, especially for developing countries, embodied in pronounced droughts, floods yfenómenos unusual weather. All of this has a strong impact on the living conditions of the most disadvantaged communities. However, "the Paris Agreement establishes a new collective target figure to be at least 100,000 million dollars a year, taking into account the needs and priorities of developing countries". This aid must arrive by 2020 to help the less wealthy countries in their mitigation and adaptation efforts. It is essential that financial commitment be turned into concrete and effective measures for these countries, the hardest hit by climate variations and has fewer resources to curb its consequences. As for the timetable for action, the agreement "invites the UN Secretary General to convene a high-level ceremony for the signing of the April 22, 2016". That is, at least until that date the agreement is signed not one hundred percent. To be formally signed and enter into force, at least 55 Parties to the Convention, the estimated emissions globally represent 55% of global greenhouse gas emissions, have ratified. It is clear also that to curb the effects of global warming, should promote responsible and sustainable patterns of consumption, where the circular economy and reuse, including reuse of textiles, are basic.